Oh yeah, Jim Boykin and the crew from webuildpages.com sent out free clocks and I had to take a photo of mine. WeBuildPages is a link baiting firm that is run by the self proclaimed link ninja, and has been providing high end link building campaigns since 2001. I’m a big fan of linkbuilding through social networks and targeted exchanges and WBP has some cool tools that allow you to analyze your incoming links and backlink anchor text. 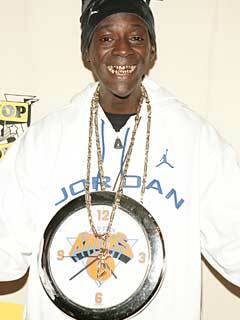 Who can say no to free swag, and besides, having a clock hanging on my neck makes me look like Flavor Flav. My next post will be both me and Jim with these SEO clocks around our necks. That would be a great photo. I think I’ll stick to SEO instead of rap, even though Flava’ was the king of style in the 90’s. WBP offers free backlinks for free swag, a very ingenious idea. 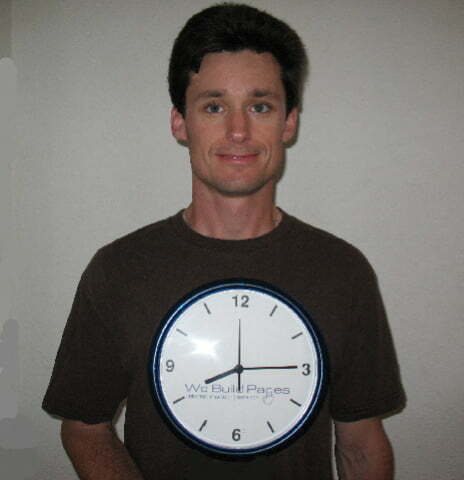 Dennis VanDerGinst I’m sure would not be on board with giving out free clocks to gain links. Webuildpages deserves a 10 for this linkbait.